London-based Bitstamp, the second largest exchange for alternative currency Bitcoin, suspended services following a hack that accounted for more than $5 million in losses. Nobody said the rise of digital currency would be a smooth ride. Proof of that came again this week as one of the oldest, relatively speaking, Bitcoin currency exchanges went offline following a hacking incident. But cryptocurrency experts view the incident as more of a warning or bump in the road than a progress-destabilizing one for alternative payment mechanisms. London-based Bitstamp, the second largest exchange for alternative currency Bitcoin, suspended services following a hack that accounted for more than $5 million in losses. Though not driven by internal fraud nor of the scope of the infamous Mt. Gox Bitcoin exchange collapse, the news continues to rattle some mainstream media outlets. Forward-thinking retailers and those in the business-to-business world should not pay much attention to panic or predictions of “the end,” said Dave Zeiler, associate editor with Money Map Press (Agora, Inc.). “This incident is just a pebble in the stream,” Zeiler told NACM. “A lot of people hate Bitcoin and like to jump out in the media and say, ‘See…I told you this was a bad idea.’ Remember, in the 90s, the Internet was dismissed by a lot of people. There are going to be some painful steps along the way in a process of maturing for the ecosystem of Bitcoin.” In addition, those most familiar with alternative, digital currencies did not view Bitstamp as an exchange known for being run very professionally or safely—its vulnerability was only a surprise to the unfamiliar. 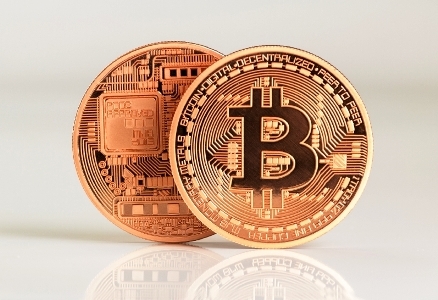 Although businesses have yet to jump on the Bitcoin bandwagon en masse for B2B transactions, Zeiler and Rudet Fountain, vice president of NACM relations with United TranzActions, have noted that it would be foolish to ignore the building interest and support of digital currencies because adoption continues to be slow or because of an occasional negative incident. After all, people still shop at Home Depot and Target following those breaches. Still, greater acceptance of Bitcoin as a payment alternative, which has already taken hold with some small- and mid-market retailers and professional sports franchises, likely hinges on the introduction of regulation. Zeiler said efforts to launch a New York-based, regulated exchange are already underway despite some early Bitcoin supporters’ wariness of government involvement of any kind.